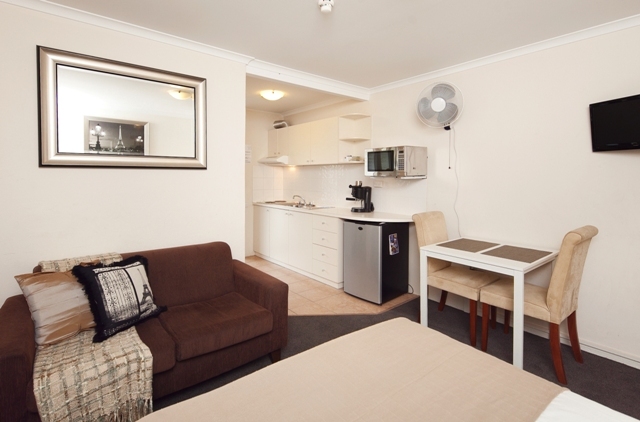 At Canberra Furnished Accommodation we cater to a wide range of accommodation needs and budgets. Each apartment is appointed with the Canberra Furnished Accommodation signature style – beautiful and welcoming – a home away from home. 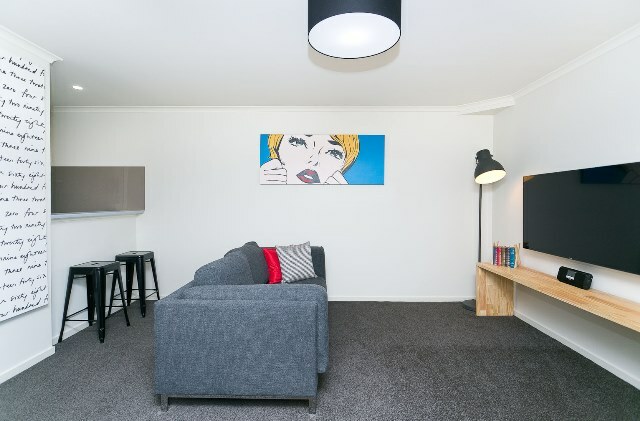 In the budget range we have studios and 1 bedroom units located in Griffith, in Canberra’s inner-South, which is only a 7 minute drive from the CBD. 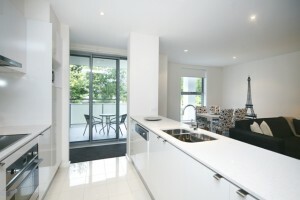 We put the same attention to detail into equipping our budget properties as we do our executive apartments. Most properties have been recently renovated and refurbished and those that haven’t attract a 10% discount. Ask about cheaper rates for stays of 6 months or longer. The difference between the budget and executive properties is largely location and building age. Braddon and Lyneham are where you will find our Executive apartments. All developments are built after 2010 and are located for your convenience. Braddon is a short walk away from the CBD, and Lyneham is our closest accommodation to Belconnen. Inside are our trademark beautifully furnished spaces with r/c air-conditioning, quality appliances, exceptionally well equipped kitchens and laundries. They are all in secure buildings with lift access, free secure undercover parking and unlimited wifi. 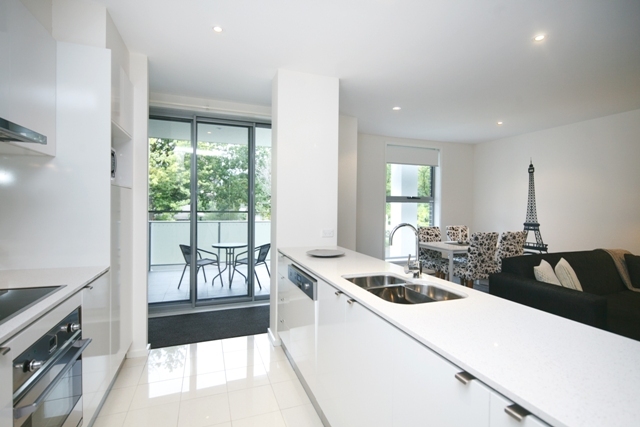 We’re always innovating and listening to what our guests need, so we are very pleased to announce the addition of 3 extra 1 bedroom Executive King apartments in the 2012 Avoca development. Westfield shopping centre and various Government offices are just across the road, along with the bus interchange for if you need to venture a little further afield but most convenient for this accommodation is The Canberra Hospital being just a short walk away. This is also the closest accommodation we have to Tuggeranong, accessible via a 15 minute bus ride or 10 minute car trip. Always innovating, we are very pleased to announce a range of boutique apartments coming soon. After many years of property investors asking us to manage their properties we launch this service in September 2014. All properties will be in new developments or recently renovated. In fact, we are working with a few owners to specifically renovate their properties just for this service. 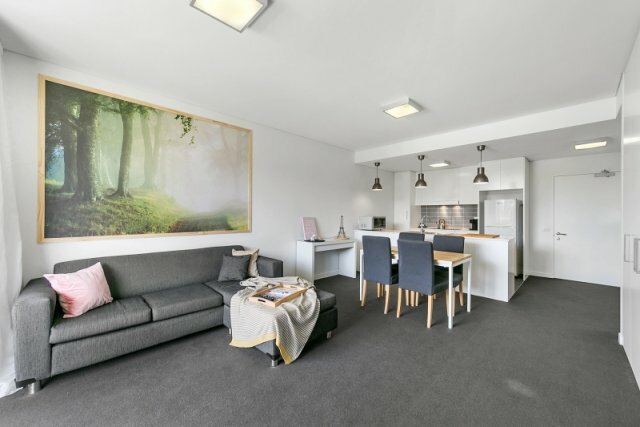 All properties will be in central Canberra locations, with lift access, secure undercover parking, large flat screen smart TV’s and unlimited complimentary free wifi.